The Inside Scoop: Japan - "Land of the rising sun"
Japan had long been high on my list. In university, I once watched a presentation by Japanese exchange students on the scenery of each prefecture. I was blown away. And almost anyone who visits Japan says it is one of their favorite countries. 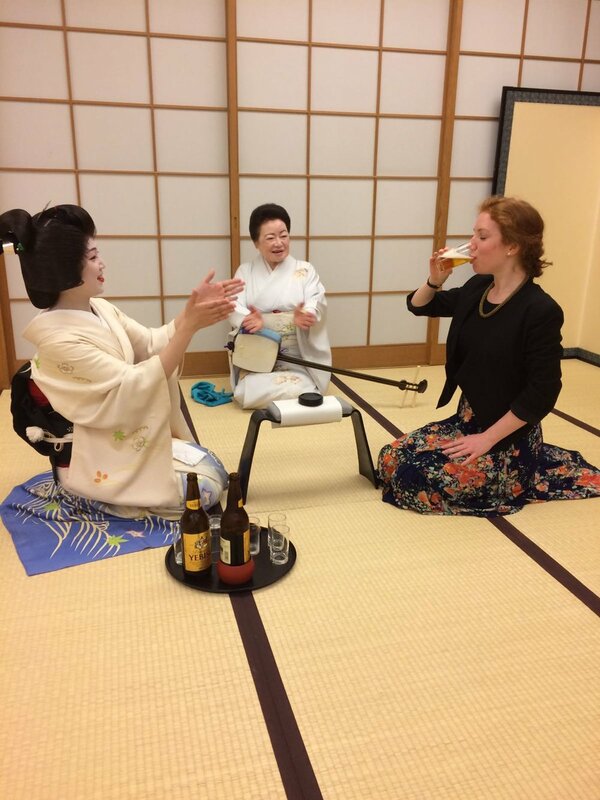 When the Japanese Tourism Board invited me to take a learning trip and attend a trade show, I was thrilled at the opportunity. I loved the culture shock. There were elements that took getting used to, like the hot springs (bathing suits forbidden), the infinite-course meals with not a single recognisable flavour, and the slipper culture (wearing and removing slippers at precise points of entry to a home or shop). But it was all so charming. Japan’s culture, while influenced by the West and by its neighbouring Asian countries, is very distinctive. There was something to learn from each interaction, each activity. 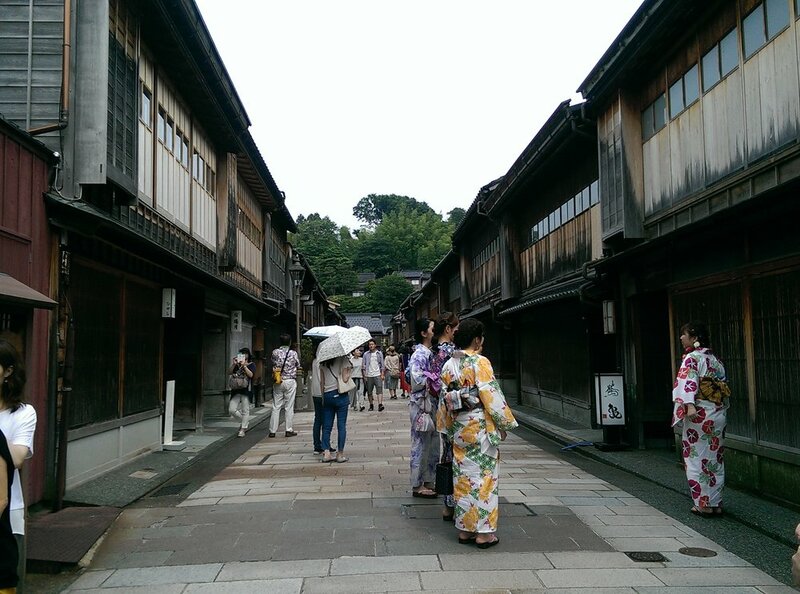 In terms of sites, the pleasant surprise for me was the city of Kanazawa. The traditional geisha district was even more beautiful than Gion in Kyoto, and the contemporary art museum was astonishing – and I usually prefer older art! My favourite spot was Tokyo, specifically the neighbourhoods of Harajuku, Shibuya, and Ebisu. They make up one of the hippest quarters of the city, complete with superb people-watching. I spent hours wandering the cool side streets, checking out the beautiful boutiques, local coffee shops, the creative and delicious restaurants, and the mega-stores that sold every weird and whimsical Japanese product you could possibly hope for. I started my trip in Kyoto. We had just spent the night at The Ritz-Carlton, which instantly joined my list of favorite properties. The hotel is a work of art, blending traditional minimalist Japanese design with a warmth and modern flare that would melt the heart of any traveler. In the morning, my group visited a private family home for a personalized cooking class. Our hosts were wonderful; setting the tone for what would be 10 days of memorable interactions with local Japanese people across the country. Tell us about your itinerary. Our first two days were in Kyoto, visiting temples, a bamboo forest, a food market, and the historical city centre. Then we went to Kanazawa, a bustling city only 2 hours by train from Kyoto and 2.5 hours from Tokyo. We wandered the beautiful Higashi Chaya district, saw the house of a Samurai warrior, and explored the main art gallery. Next was the Noto Peninsula, a quiet and rural coastal region known for its hot springs. We had the best grilled fish I have ever tasted and bathed in steaming thermal pools. One of my favorite moments was driving along Chirihama Beach, an endless stretch of sand where we could pull over and dip our feet in the water. Then we flew to Tokyo for a trade show. After meeting with hoteliers and tour companies from across Japan, I spent a few days just soaking up the culture and getting to know the capital. First, what we think of as Japanese food in Canada is not what you are most likely to find in Japan. Sushi rolls are uncommon, and while ramen is popular, it tends to be a quick lunch rather than a main dinner meal. The formal Kaiseki menus, eaten at a low table and served in a long stream of miniature courses, are an adventure and a privilege to try. Okonomiyaki is a delicious savoury egg and cabbage pancake that even the pickiest eaters will love. Yakitori are brochettes of tasty grilled meat. Try everything once! I was also surprised by the variety of upscale accommodation. From the ultra-luxe Ritz-Carlton Kyoto and Aman Tokyo to the traditional ryokan inns where guests sleep on tatami mats on the floor, there were so many ways to experience Japanese style hospitality. Speak to your Away Travel Advisor to book your own Japan getaway today, or contact us via email below.